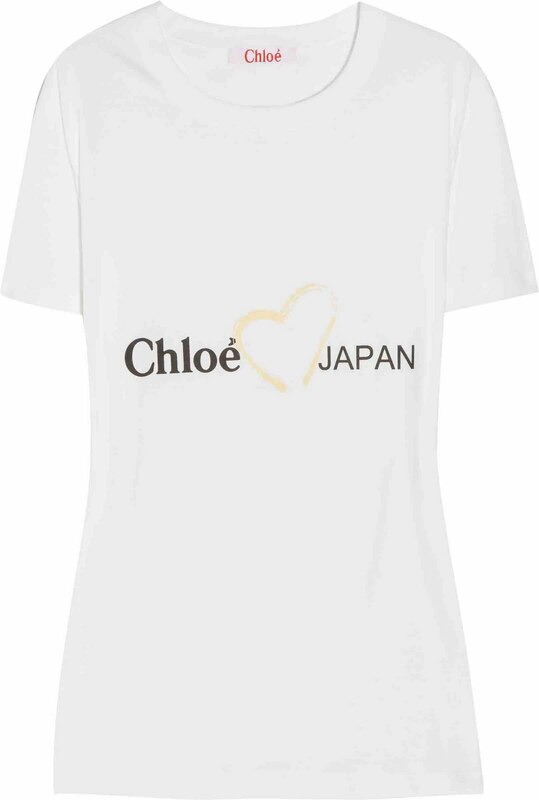 Chloé also designed a T-shirt to support the Japanese Red Cross earthquake appeal. You can show your support in style with the white cotton hear-print T-shirt that is available as an online exclusive at NET-A-PORTER.com. 100% of all proceeds from the sale of this T-shirt will be donated to the Japanese Red Cross.